I've been a lurker for years, but felt compelled to finally create an account to post about Lost Larson. 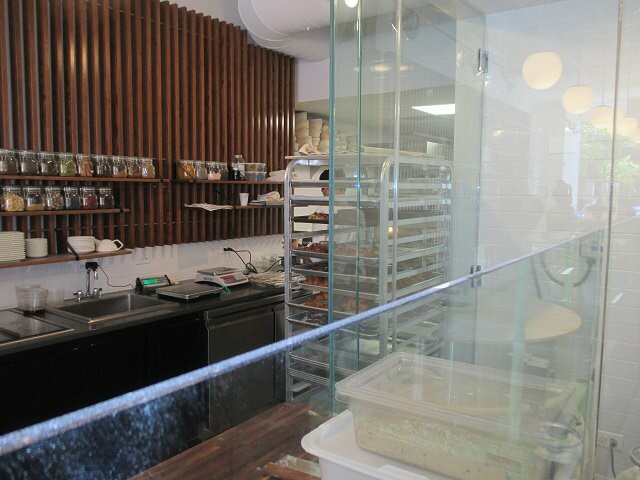 It's a new bakery that opened up in Andersonville in the old Goddess and the Grocer space. 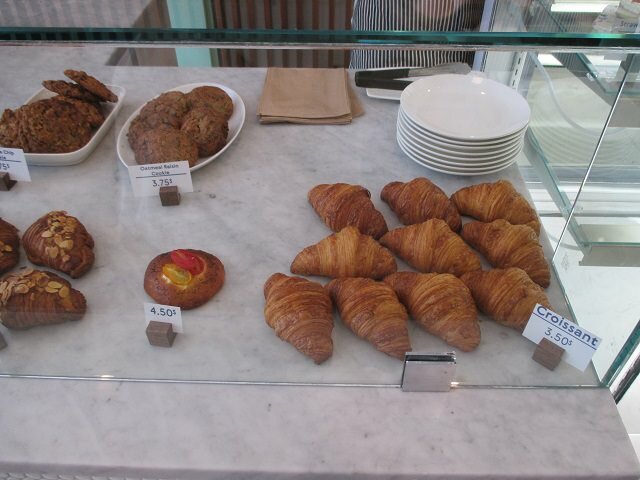 They have a constantly rotating set of 5 to 10 pastries on offer as well as freshly baked bread and great coffee. It was started by Bobby Schaffer, who was the pastry chef at Grace (RIP). Grace is the best meal my wife and I have ever had, so we were super excited when we heard about Lost Larson. 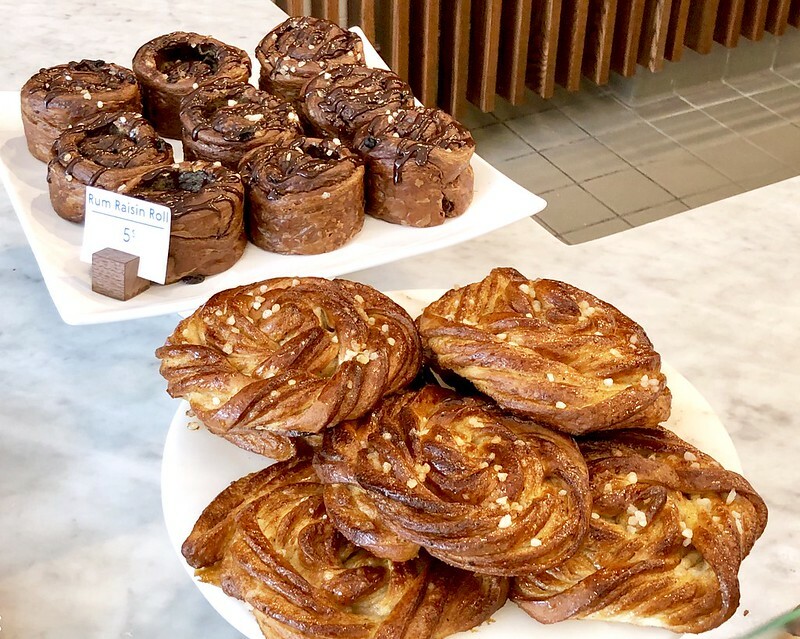 I'm no food writer or advanced foodie, just a guy who follows the Chicago food scene and likes to eat, so I'm not sure I can describe the pastries in a way that does them justice. I can say they are best baked goods I have ever had in Chicago and that the place met or maybe even exceeded my sky high expectations. The place reminds me of Bad Wolf in it's hey day, but even better (best Canelé ever, though they went downhill in the later days). 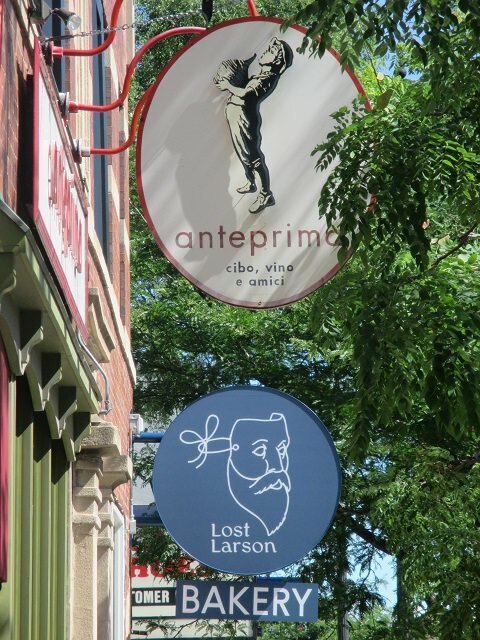 I know that Andersonville has a bit of reputation of not being able to support higher end restaurants, so I really hope Lost Larson sticks! My wife and I have already gone several times and know we will go many more! I can see why Lost Larson would motivate someone to break through and post for the first time. I was actually in the midst of creating a Lost Larson threat tonight, got distracted, and then saw this, which is great. Welcome to LTH, edgewaterguy. I couldn't agree with you more. Here's what I was going to post before I got beaten to the punch. It's silly to declare an establishment the best of its kind in Chicago after just one visit. It's silly to declare an establishment the best of its kind in Chicago after trying just two items on the menu. It's silly to declare an establishment the best of its kind in Chicago after it's only been open for a couple weeks. Lost Larson, the new Andersonville bakery is not only the best bakery in Chicago,* but with all due respect to Bad Wolf and Pasticceria Natalina, it's the best bakery I've ever encountered here. 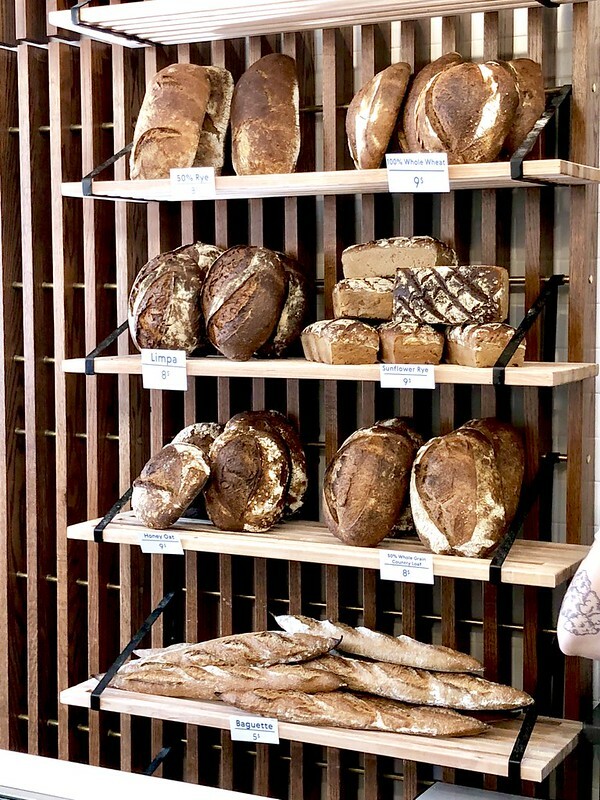 The flour is milled in-house and there's a bread program I'm eager to check out, but my initial visit was limited to two pastries, both of which contain tributes to the neighborhood's Swedish history. What follows is too many words that basically just say these were super flavorful, incredibly balanced, and texturally flawless pastries that made me giddy. I had no plans of documenting my visit but after a couple bites of the almond lingonberry cake, the camera came out. The almost chewy outer layer of cake surrounded a soft, moist crumb. 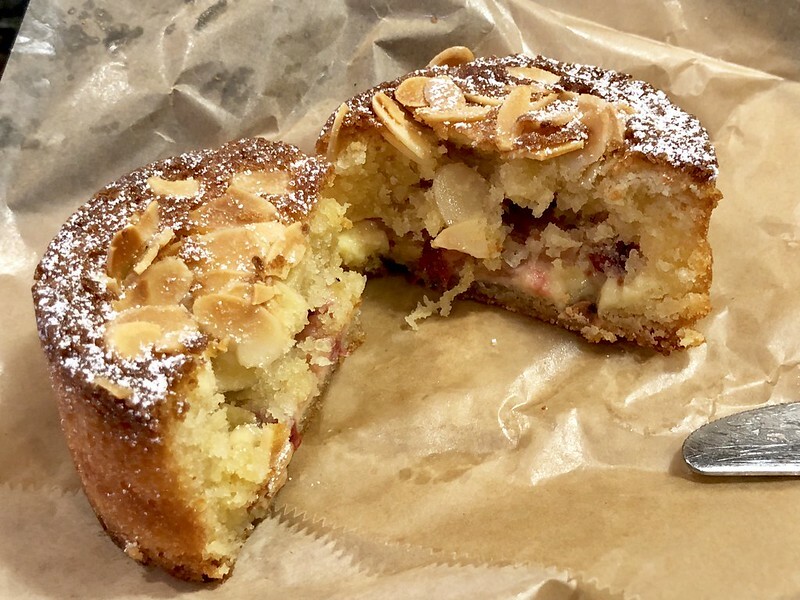 The little bit of lingonberry at the bottom was strong enough to shine through in each bite while pairing beautifully with the almond flavor. Two things jumped out about the cardamom bun, which was even better than the cake. Like the cake, the texture was just fantastic thanks to a handful of crunchy sugar bits that dot the flaky outer layer of bread that surrounds the toothsome (stupid but apt word) interior. 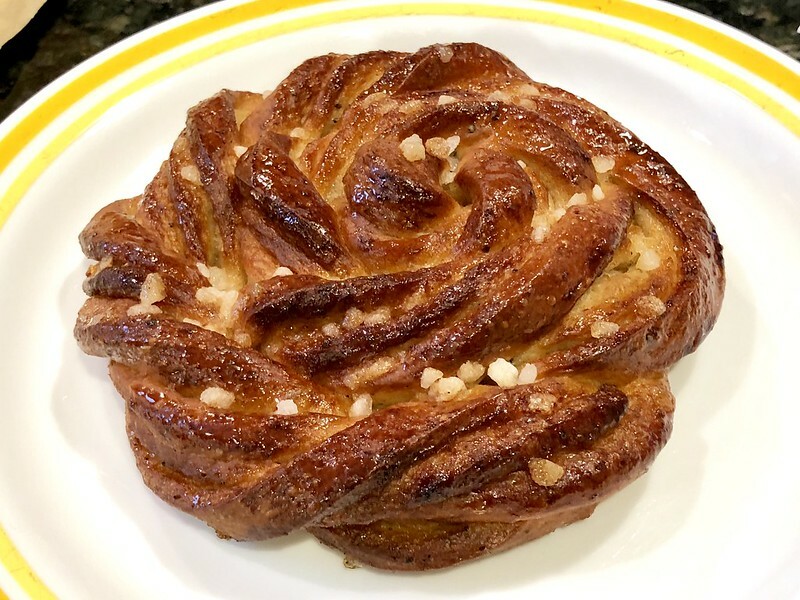 But the real marvel of the bun is the sheer amount of cardamom flavor that somehow manages to explode in every bite while maintaining its delicacy. I don't have a particular fondness for cardamom, but I would happily eat this bun on a daily basis. The space itself is lovely. The extremely white minimalist interior is nice and there's a decent sized patio (6 or 8 tables) in the back. 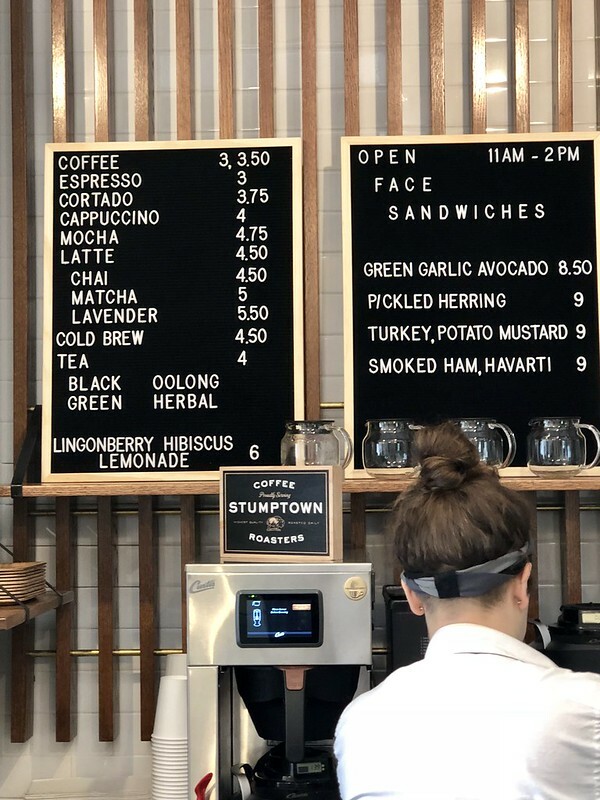 The coffee is from Stumptown and was very good, particularly with the cardamom bun, which might be the perfect coffee pairing and would probably make Folgers taste great. The only knock on this place, which isn't a legitimate knock given the quality, is that it's not cheap. My two pastries and coffee ran me about $14.50 and my pastries were far from the most expensive ones available. It's just as well; I shouldn't eat pastries every day. But I'm looking forward to going back soon to make sure my initial exuberance is justified. *It's the best bakery in the non-pie category. It's not fair to compare anything to Hoosier Mama. This place is really expensive...but it’s so good. Whole-wheat baguette is up there with cellar door and Elizabeth as the best bread in the city. Rum raisin roll is ridiculous. Perfect level of sweetness. Perfect bake. I stopped in on Saturday and had one of the bread things with stuff on top. The one I had was turkey with a lot of mustard, something sweet - maybe lingonberry jam, small cubes of a really delicious soft French cheese. It was very well balanced. It made a very nice, very light lunch. $9.92. I'm not just ready to proclaim it the best but it's certainly right up there. I've had a number of items (over three visits), and most have been excellent, with that cardamom pastry being the best (so incredible). Solid Stumptown coffee too. The cardamom pastry is the best cardamom food item I've ever tasted, and I'll tell you that I am the president of the cardamom fan club. I had a croissant on maybe their second day. It was very, very good but not quite Cellar Door. I look forward to trying it again now that they've been open for a while. This almond-lingonberry pastry was really tasty, though I would've liked a bit more lingonberry. The only item that hasn't really impressed me was the whole wheat snickerdoodle - not enough binding and nothing really special about the flavor. 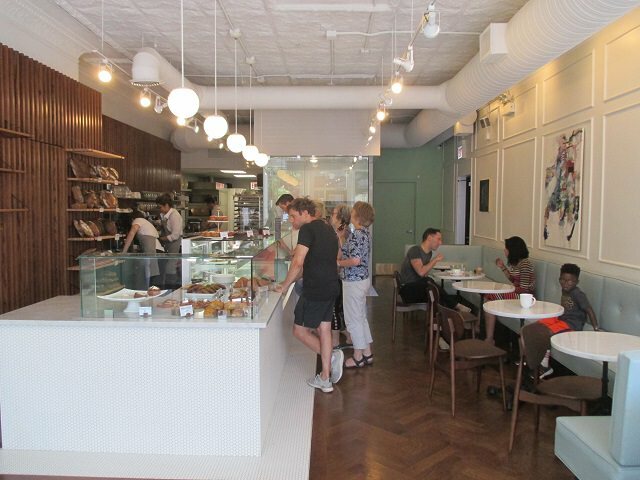 But Lost Larson is the real deal and a gift to Andersonville -- really friendly folks too, and yes, an attractive space. No, it won't make me forget about Natalina (nothing I love more than Italian pastries), but no question, the place is a gem. And it's amazing how smoothly they're operating just a couple of weeks after opening. As for the prices (which has been discussed with every higher end bakery in town), I'm sorry but too many people are used to buying their baked goods at Mariano's and the like. 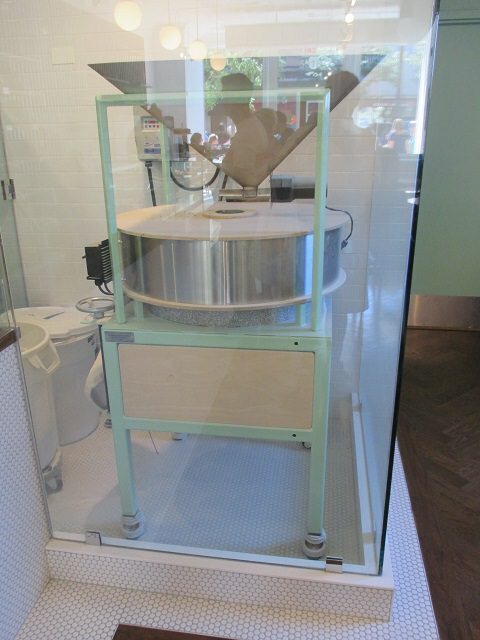 Higher quality ingredients, such as the butter, flours, nuts, etc. cost more, plain and simple. I bake at home plenty and I couldn't possibly sell my pies or baked goods at the same prices as places like Mariano's -- I'd be losing money just on the cost of ingredients, and that doesn't even take rent/employee cost into consideration. I wish there were more people like Jared (see his Budlong post) to educate everyone on the costs of running an independent restaurant in this town, buying higher quality ingredients and paying your people right -- not easy. Nope, Lost Larson is not the place to find your incredibly fluffy, over-risen and tasteless breads. 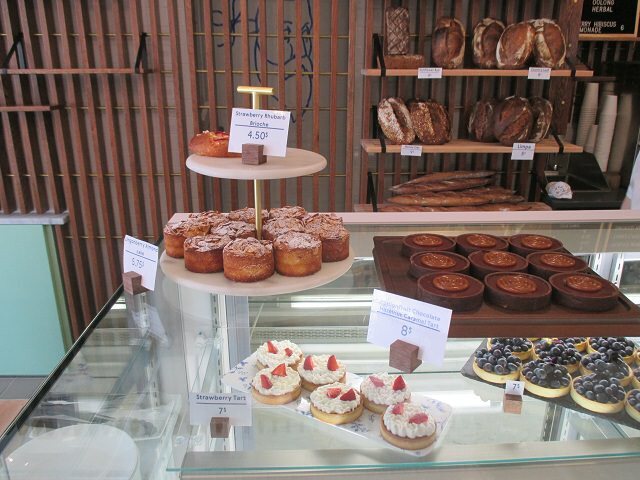 But it's the place to go if you want to experience bread and pastry bliss. Make room on the Lost Larson bandwagon for one more, coffee and cardamon pastry terrific, space open airy comfortable, staff incredibly welcoming and friendly which reflects in the mood of the customers. In my short time at LL I engaged in two conversations without anyone checking a cell phone. I was drawn to the herring sandwich, and the pastries were stunning, but this was a quick stop on my way to lunch. A revisit sooner rather than later is a certainty. 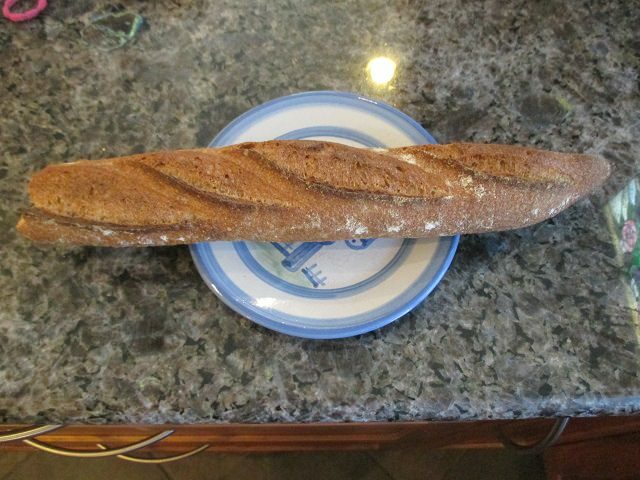 Baguette, pictured below, was delicious as Pa amb tomàquet for early evening snack on the patio with the bride. Though I gilded the Lilly with fresh mozzarella. Lost Larson, Count me a Fan! Sunshine, coffee, cardamon pastry and a baguette to go. I stopped in the other day. I did enjoy my cherry financier and have been working my way through the 50% rye bread. I think the bread has good texture and very good rye flavor. I liked the financier fine. For comparison's sake, I should have likely gotten a flaky pastry since that is what I crave and have most from bakeries (and what I most think is worth premium prices). It's not near me and I'm not sure when I'll get back. That can be read as damning with faint praise which is probably fair. But I really haven't tried enough of Lost Larson's menu to conclude anything about it yet. 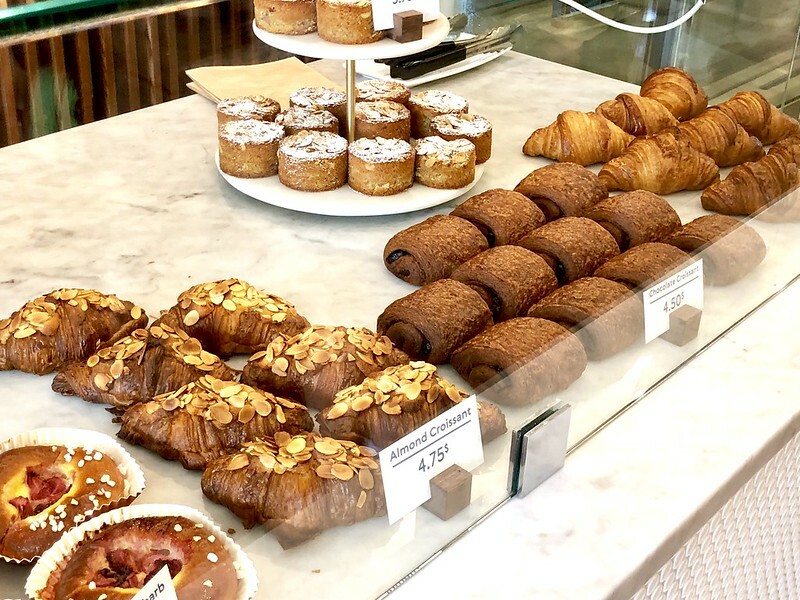 And Cellar Door (which I consider to be tops in the city for my style of pastries, bread, and food) is walkable for me so that also mitigates the need to go out of my way to try baked goods at another respected place. 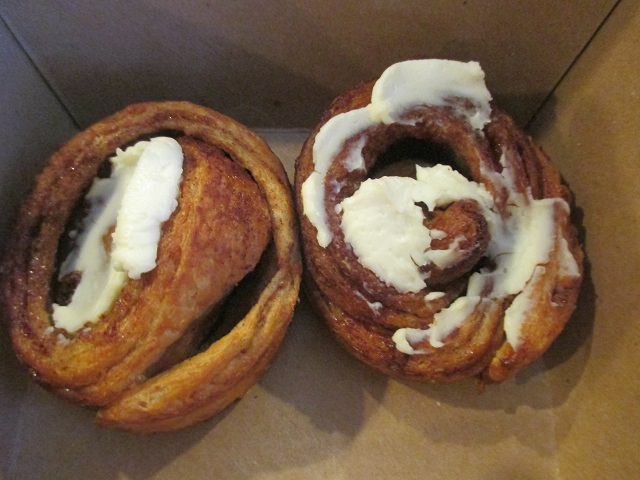 gastro gnome, if you like flaky pastries, you should return and try their cinnamon roll. 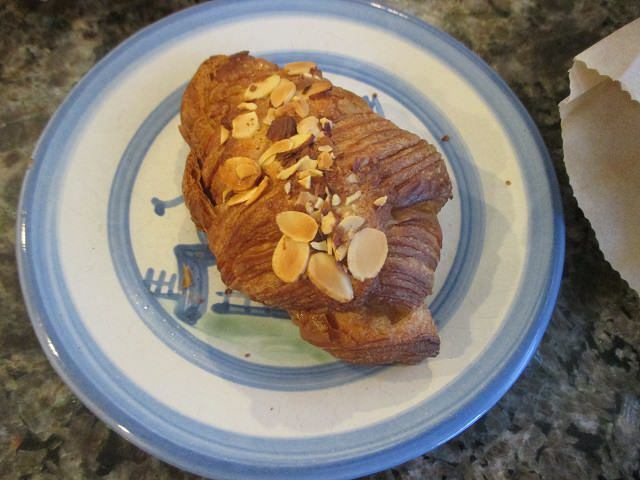 It's more flaky and crisp, in a croissant/kouign-amann kind of way and it's fantastic. There's a seemingly unsweetened cream cheese center that works perfectly (I hate the cloyingly sweet icing on most cinnamon rolls), though it could use just a tad more cinnamon. 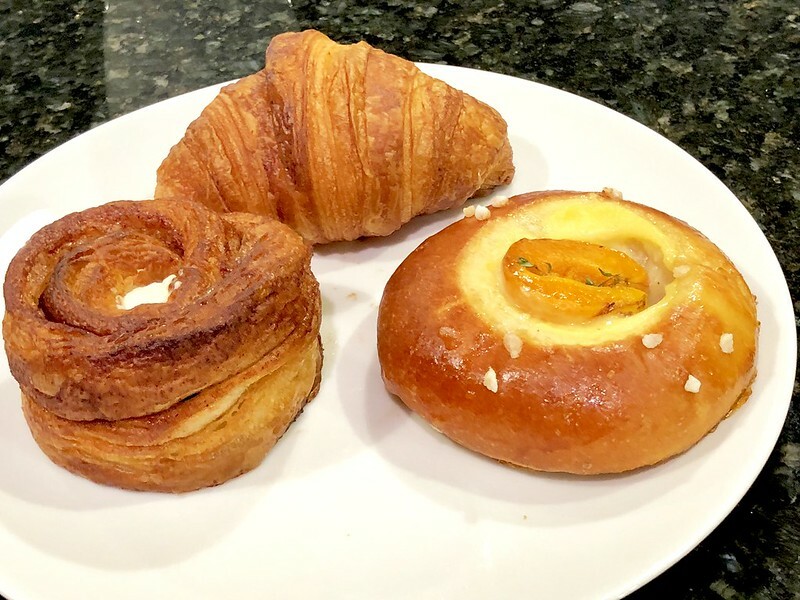 Also pictured below are an apricot/honey/thyme brioche (wonderful) and a plain croissant (would've liked a slightly more crisp exterior and some more salt, but still solid -- pretty interior pictured below). I would say run, don't walk, for the cinnamon bun. One of the horrific food moments in my recent years is when Cellar Door stopped selling their loaves of bread. Problem solved. Lost Larson's 50% whole grain country loaf is absolutely stellar, with a gorgeously crisp crust and a pleasant sourdough tang. This will be my new go-to loaf. Thanks for the tip BR. I normally would not consider a cinnamon roll. I will say that I was there just before closing so their pastry selection was limited. I will say that the baguette looked awfully tempting and even better in your photos below. I stopped by yesterday and bought a few pastries and some bread. Everything was good to excellent. 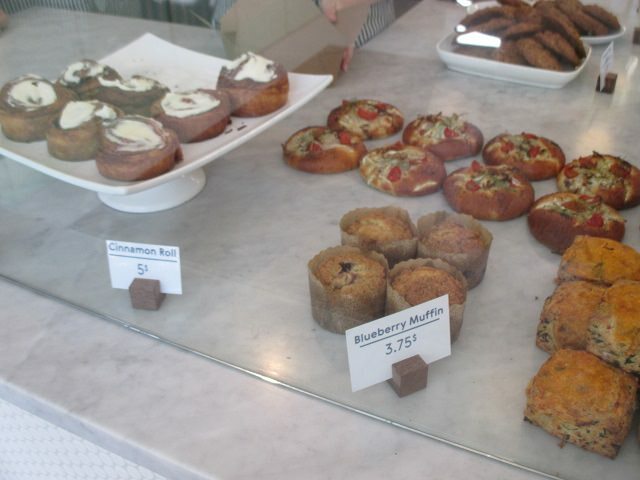 Loved the cardamom bun and cinnamon roll. The croissant and pain au chocolat were good but not great. The croissant could use a little more salt and they were both a little soft, although that may have been due to the heat and humidity. I got a loaf of 100% whole wheat. It tastes amazing (nutty, toasty, tangy) but the crumb was a little underdone and gummy. While somewhat disappointing (when paying $9 for a loaf, I want it to be fully cooked), it still made the best toast I've had in a long time. I also tried a couple bread samples, limpa and sunflower seed rye, both of which were fantastic. 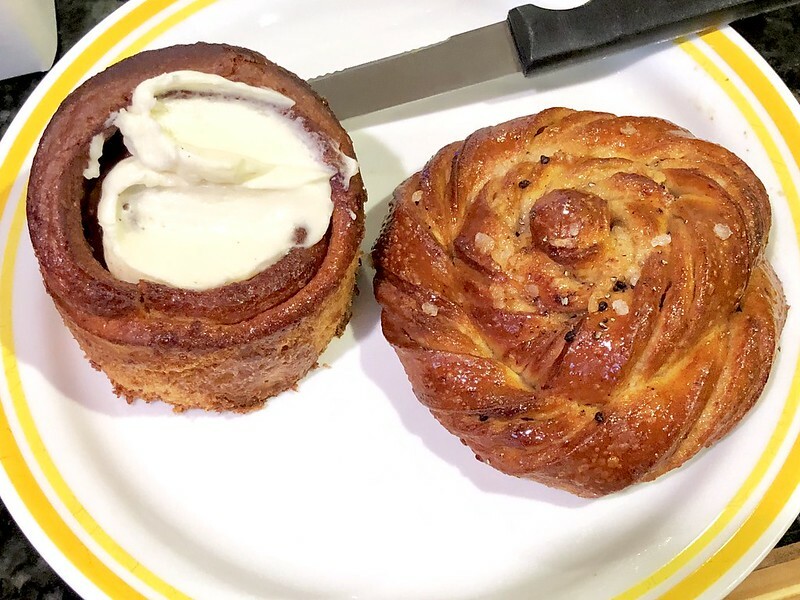 While I don't agree with the sentiments upthread that the pastries are as good as Bad Wolf's were, I think they're very good and the bread is worth traveling great distances for. egghead wrote: I got a loaf of 100% whole wheat. It tastes amazing (nutty, toasty, tangy) but the crumb was a little underdone and gummy. While somewhat disappointing (when paying $9 for a loaf, I want it to be fully cooked), it still made the best toast I've had in a long time. Let them know about the bread. I started baking a lot of bread last fall. Underbaking is a problem, particularly if an internal temperature is not taken to confirm what seems readily apparent to the eye. The gluten is different with whole wheat versus white and this is one of the reasons you don't see many 100% whole wheat loaves. It really is harder to get a great bake. 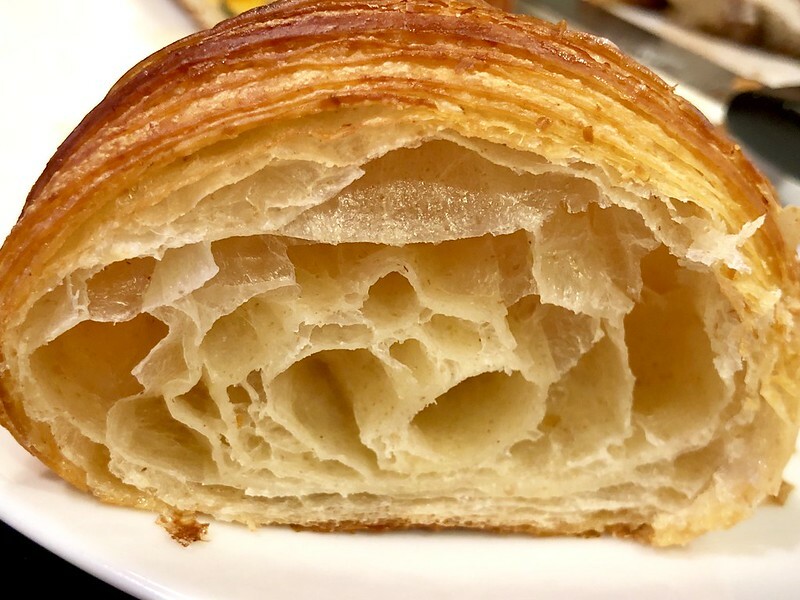 BR that is some great looking lamination on the interior of that croissant. 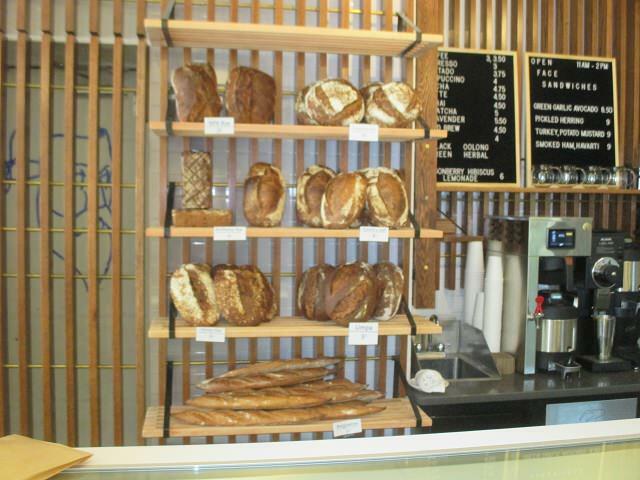 And their country loaves remind me a lot of Tartine's in California by exterior appearance. 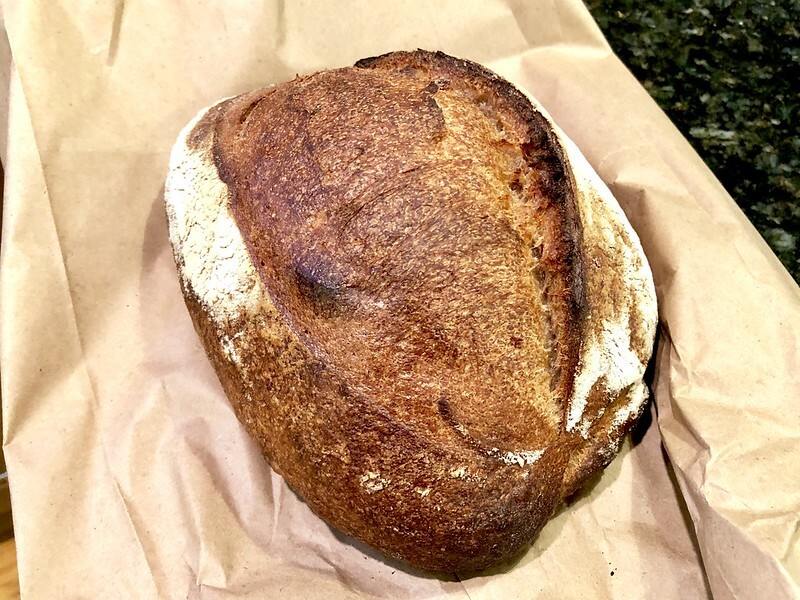 There are large numbers of home bakers and professional bakers baking Country Bread these days and an open crumb and loft are badges of honor for many. 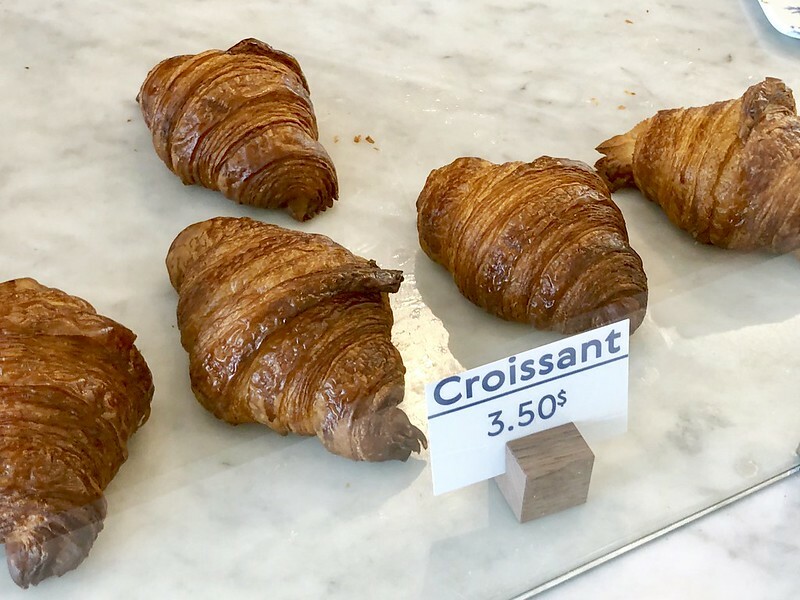 Came here last weekend and thoroughly enjoyed their cinnamon bun and plain croissant (excellent and meticulous lamination on both pastries), but was pretty disappointed by their baguette. Seemed like they were working with a low hydration 50% ww dough, but still ended up having pretty dry and uneven crumb. The bake on the outside was a bit tough/hard to chew through, and overall was pretty bland (tasted a good amount of char, but not much in the way of sourdough or the whole wheat contents). Might have to try their country loaf the next time I'm there, but for now, I prefer my homemade sourdough (I typically make a 50% whole wheat+rye/50% white sourdough boule at around 80% hydration) over Lost Larson's baguette. It’s harder when you bake yourself. My preferred country loaf is Tartine’s rye, a scant 20% rye. 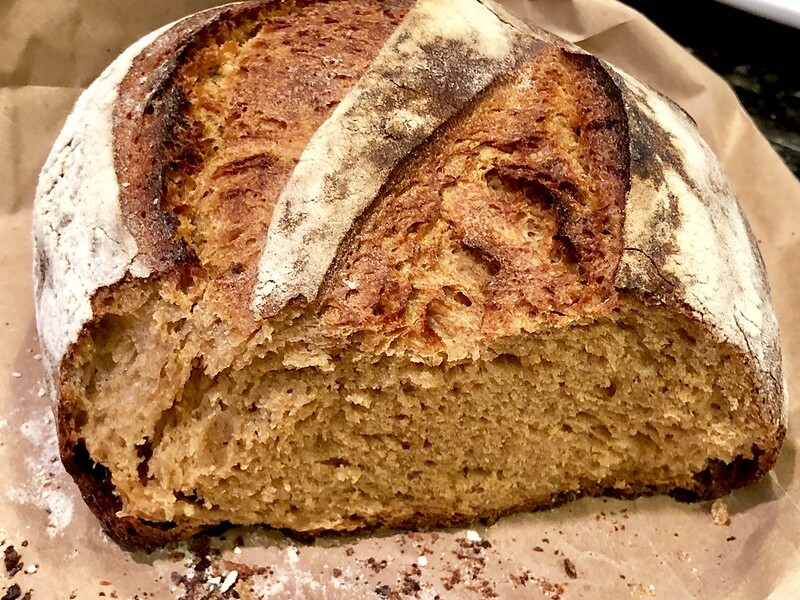 It isn’t gummy and has a large open crumb structure, a hearty crust and a clean, sweet, grassiness on the nose and to taste that is so addictive. pairs4life wrote: It’s harder when you bake yourself. My preferred country loaf is Tartine’s rye, a scant 20% rye. 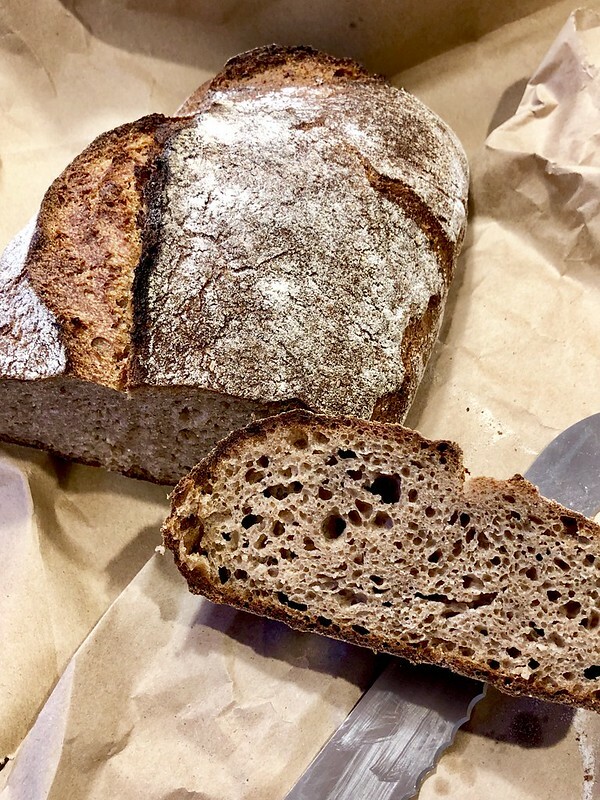 It isn’t gummy and has a large open crumb structure, a hearty crust and a clean, sweet, grassiness on the nose and to taste that is so addictive. Definitely agree with you there. After reading Tartine and FWSY, I've began experimenting with recipes/flours and usually go with 10%-15% rye since I find it so difficult to work with (for my higher hydration doughs, the rye just becomes a crazy sticky mess). Ideally I'd like to get much more open crumb, but I can't seem to achieve that unless I start adding a lot more baker's yeast to my levain, which I'm not too keen on (don't know the optimal proofing/timing when combining yeast with starter). However, I get that nice shiny and chewy (but not gummy) textured crumb along with a nice, full-flavored crust. Anyway, I'm going back to Lost Larson this weekend and will report back with some pictures and impressions of their bread! I really enjoyed their sunflower rye. It's great plain or toasted, as long as there is a generous layer of butter, of course. This a nice bake. Good oven spring is apparent. Well done! I went to Lost Larson today to check it out. I brought everything home and haven't tried it yet, so for now I'm just going to post the photos I took at the shop. So this is what I got, in ranked order starting with the item I liked the best. As already described above, this is a very good small cake. 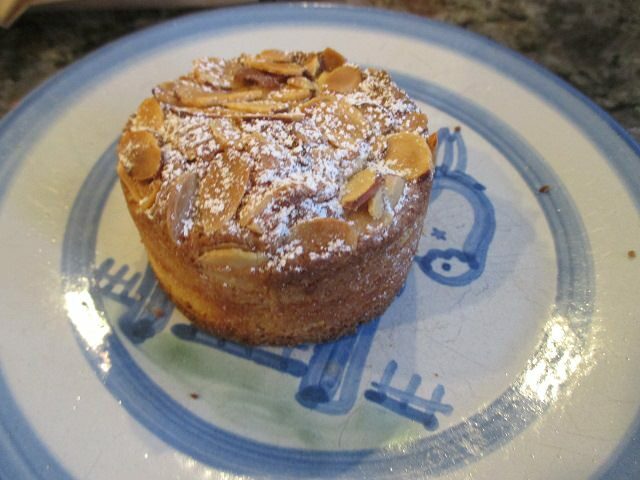 The texture and consistency are that of a dense, light crumb, similar to a financier, which makes me think there may be almond flour in the recipe. It had a tendency to fall apart while eating it (which is not a flaw in my view). This was a sliced loaf on the counter. 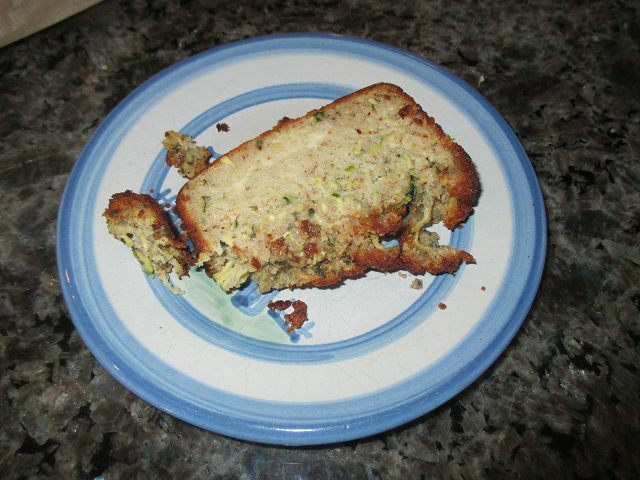 It too was very good, moist and dense with a nice light flavor (not that intense in zucchini flavor). As you can see, it fell apart while in its paper bag; it might have stayed together if it had been placed in a box like the cinnamon rolls were, but again, this is not a major flaw to me. 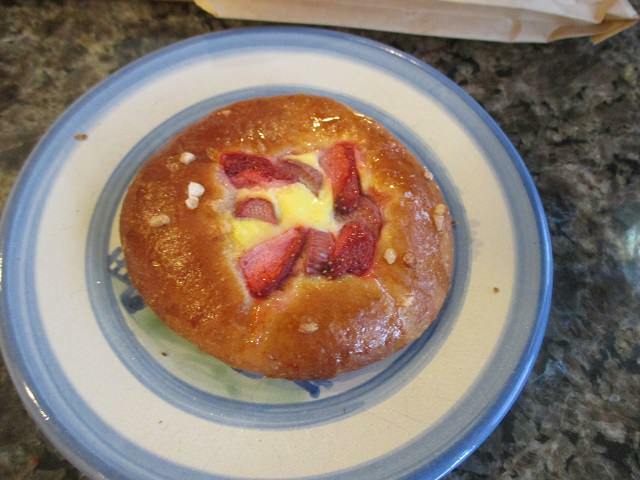 This was good, although not that different from custard-filled brioches served elsewhere (e.g. Patisserie Coralie), with not much custard and not much sugar finishing crystals. This was good, although no different from almond croissants available all over the city. This was okay, nothing special and not as good as many other versions around town. Some above had said it needs more cinnamon; that's an approach some bakers take, but I don't think it's the only one that makes a great cinnamon roll. (The late Fox & Obel, for example, had the best ones I've had; they didn't overwhelm you with the amount of cinnamon, but rather, did it with a very rich dough.) The cream cheese (?) frosting on top was only so-so and really didn't add anything to it. This was very ordinary, although I must admit I am not a fan of a whole-wheat baguette as a concept. I love a great baguette, although the many I've had in recent years have been just okay. (I had a great one recently at a restaurant in DC called Le Diplomate.) But whole-wheat versions lack the flavor and richness of a traditional baguette - and if you enjoy bread with lots of whole-wheat flavor, they're not as good as a really great whole-wheat bread (e.g. D'Amato's). All in all, I was not overwhelmed; too many items were no different from, and no better than, similar items available elsewhere, and nothing really amazed. I had expected more from his pastries and viennoiserie, given Mr. Schaffer's pedigree and the creativity of his desserts that I have enjoyed at Grace and at Blue Hill at Stone Barns before that. 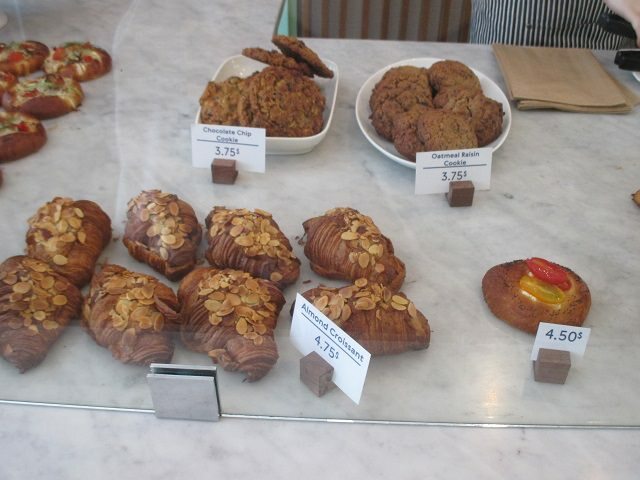 Perhaps as time goes on the variety of the offerings will expand, including pastries that are more unique and more delicious. 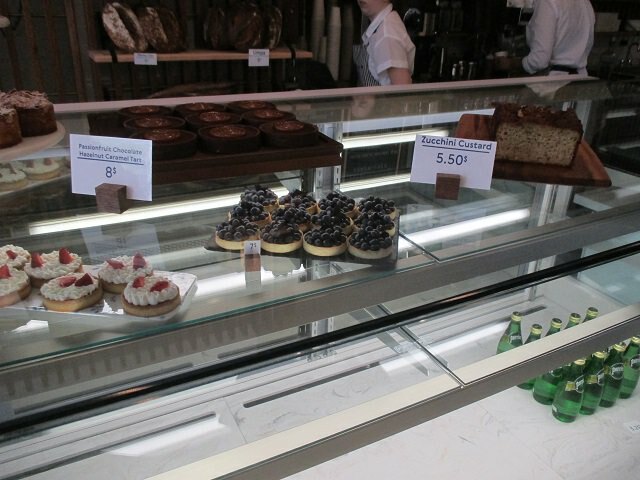 (As you can see in my photos above, there were only two items in the refrigerated display case and I didn't get either one; the blueberry tart tempted me until I found out it was filled with lemon curd rather than pastry cream.) It's a good addition to the neighborhood for those living nearby, especially with the demise of Swedish Bakery on the next block, but I don't think it's a "destination bakery" worth traveling to from elsewhere, at least not yet. I'll keep an eye on this topic and see if any new items justify a return trip. I'm sad there are no reports of the blue cheese and herring brioche that is pictured. 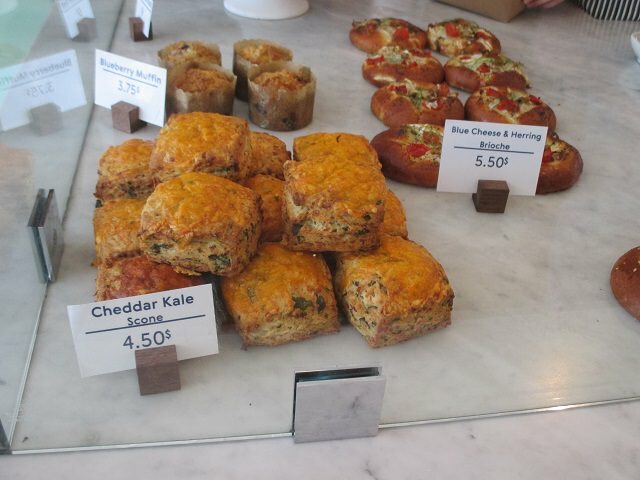 The GP wrote: I'm sad there are no reports of the blue cheese and herring brioche that is pictured. Unfortunately, it wasn't available on my visits. But it's at the top of my must-try list. The 50% whole-wheat baguette is, as someone earlier said, up there with Cellar Door as the best in the city. Next time for sure! Though on my second visit I had the perfectly composed open face pickled herring with ligonberry and loved the combination of flavors. Lost Larson, second verse same as the first. 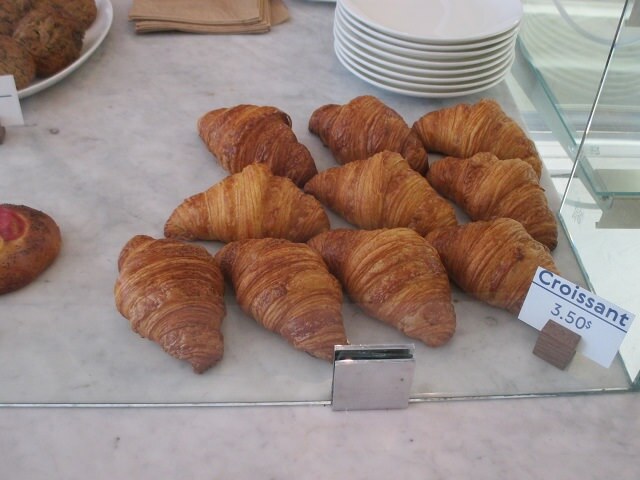 Chocolate croissant, light, flaky, fantastic! Hint of cardamom, coco powder in the laminated dough, hunks of chocolate. Lost Larson has arrived, Steve Dolinsky in the House! Initially I was skeptical but now you guys have me excited to give this place a shot! Took the bride to Lost Larson, another Fan. Brought home LL baguette/butter perfect with French breakfast radishes from the Evanston Farmers Market and Malden salt. Lost Larson baguette/butter perfect with French breakfast radishes from the Evanston Farmers Market and Malden salt. Lost Larson unsalted butter. Salted available as well. For me, the cardamom bun is the best pastry in town. I love the lightly crisp exterior and the pronounced cardamom flavor. The cinnamon bun today revealed less lamination than the first time I tried it, but considerably more cinnamon flavor. While I would like some of that lamination to reappear, with the added cinnamon flavor and the slightly tangy filling (make sure to get some in every bite), this is the best cinnamon bun in town. Went to Lost Larson yesterday with a small group and we ordered 5 pastries and the strata. All were delicious. I bought a chocolate berry tart to take home (also delicious) and a honey oat bread. The breads in the display face out (as in pictures above) and the top looked lovely. It was put right in to a bag. When I got it home and pulled it out of the bag I realized the bread was very flat. I bake bread and know this can happen but was surprised to see it from a bakery. When we cut in to it, the interior texture was gummy and clearly underbaked. So disappointing, especially as it cost $9! I sent them an email to let them know (I live in Hyde Park so can't just bring it right back to show them). Haven't heard anything yet, but will update if I do. I would definitely go back for the pastries but I'll just stick to making my own bread from now on.